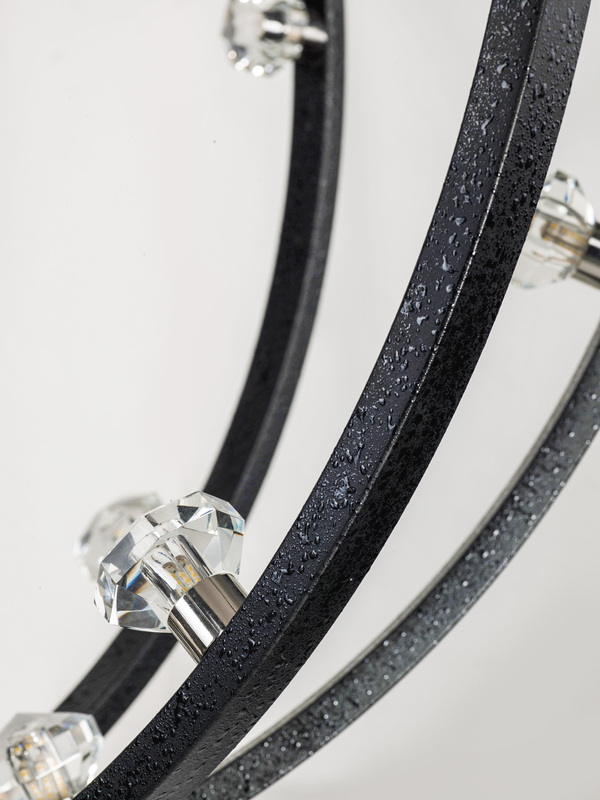 Bands of steel finished in Polished Nickle or Textured Black with Polished Nickle accents, create spherical forms of lighting. 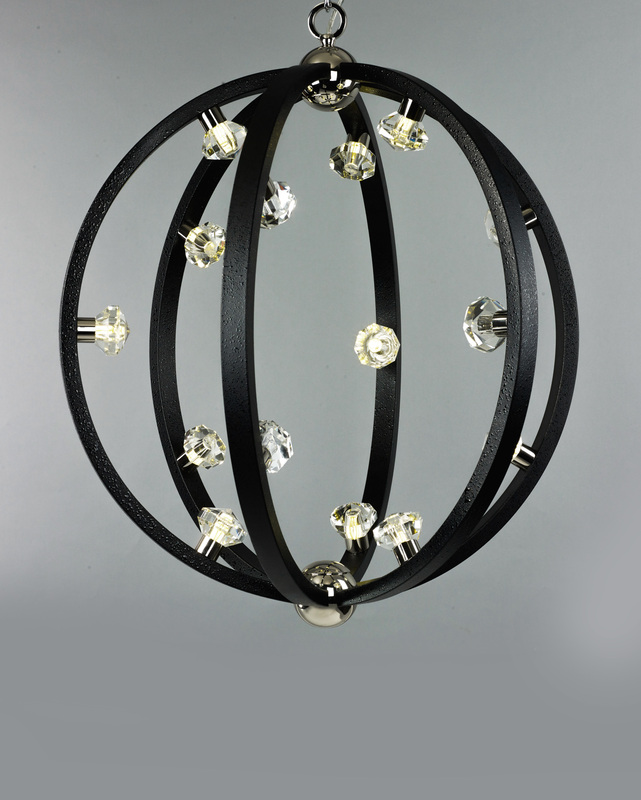 These spheres are graced with Beveled Crystal fonts which conceal dimmable LED bulbs. A perfect blend of grace, beauty and energy efficiency.